Liz’s talk is supported by the ARC Centre of Excellence in Cognition and its Disorders, as part of their 2018 public talk series. Autism affects millions of citizens in Australia and across the globe. Despite widespread public interest in autism, autistic people and their families have rarely been actively engaged in the research process. They have largely not been given the opportunity to decide research priorities, shape how an issue is researched, or help draw out practical lessons from research. Many have reported feeling disenfranchised as a result. Developing ways to involve autistic people and their allies – in deciding which topic to research, the way an issue is researched, how it becomes funded, who undertakes the research and so on – is one key way both to rebuild feelings of trust and to ensure that a greater portion of research has a direct and sustained impact on those who need it most. Autism researchers do not do this enough – and indeed, scientists are often reticent about involving community members in their research. But can non-autistic scientists ever really understand what autistic people and their families need from their research? In this presentation, Liz argues that truly understanding autism – knowing autism – requires both objective and subjective understandings, experiences and expertise, that is, listening, learning and involving autistic people and their families in research. She investigates in depth what the autistic community rightly demands of autism research and the major changes that will need to be made to deliver on their expectations. Liz Pellicano has recently returned to Australia having been Director of the Centre for Research in Autism and Education (CRAE) at University College London. 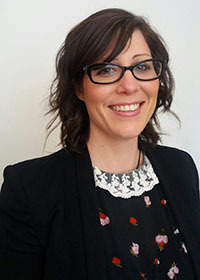 She trained as a developmental and educational psychologist at The University of Western Australia, where she also completed her PhD on the cognitive profile of autistic children, before becoming a Junior Research Fellow in Psychiatry at the University of Oxford, UK, and Lecturer in Experimental Psychology at the University of Bristol, UK. In 2009, she was appointed Senior Lecturer at the Centre for Research in Autism and Education (CRAE) at UCL Institute of Education, University College London, UK. She became Director of CRAE in 2013 and Professor of Autism Education in 2015. In late 2017, she took up a Professorship in the Department of Educational Studies at Macquarie University in Sydney. Liz is committed to understanding the distinctive opportunities and challenges faced by autistic children, young people and adults, and tracing their impact on everyday life – at home, at school and out-and-about in the community. She has also been consistently dedicated both to ensuring that the outcomes of her research are as influential as possible in education policy-making and to enhancing public understanding of autism.